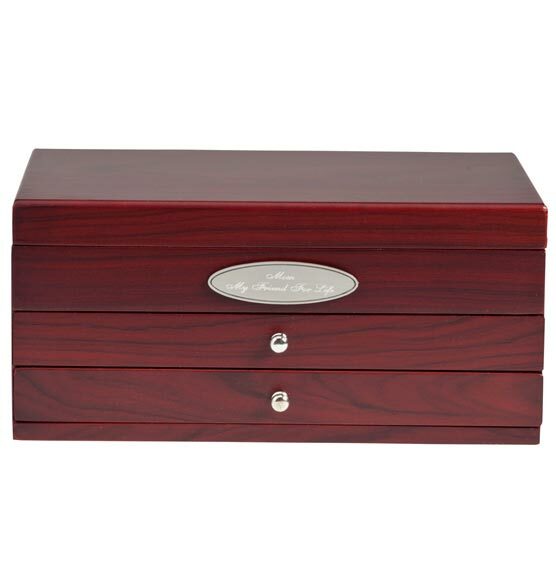 Stash favorite pieces of jewelry inside this beautifully made Personalized Mahogany 2-Drawer Jewelry Box. 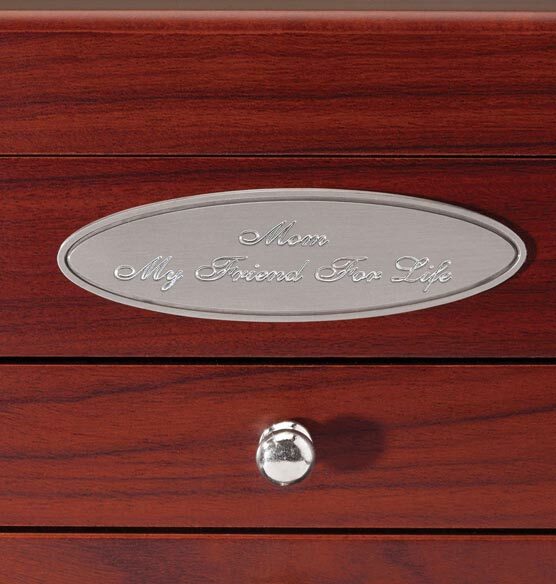 The outside has a smooth mahogany finish and a front silver plaque featuring up to two lines of custom text, making a thoughtful personalized gift. 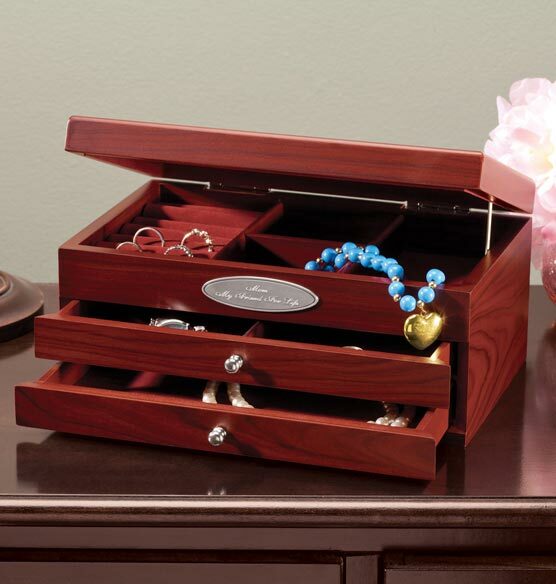 Open the hinged lid to reveal compartments for storing rings and other jewelry. 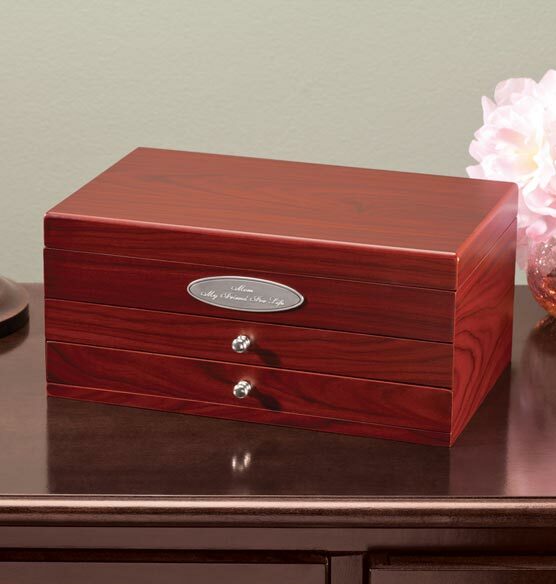 This wooden jewelry box also has two pull-out storage drawers for hiding more treasured items.